SHIFTboston blog» Blog Archive » Algae-Producing CO2-Scrubbing Powerhouse? 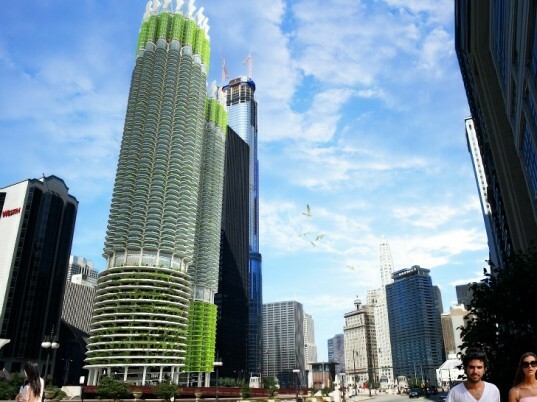 Influx_Studio, the Paris based firm has developed a plan to transform Chicago’s Marina City Towers into a green sustainable machine! 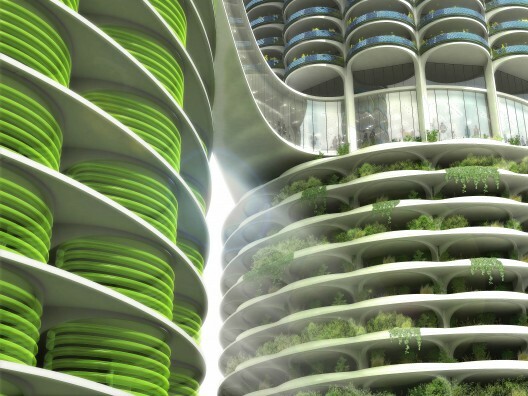 Their design would use the entire building as a algae-producing, carbon reducing, greenhouse that would be able to sustain itself, by creating its own energy source. The Marina City Towers were built in 1962, and are in needed of a much needed renovation. 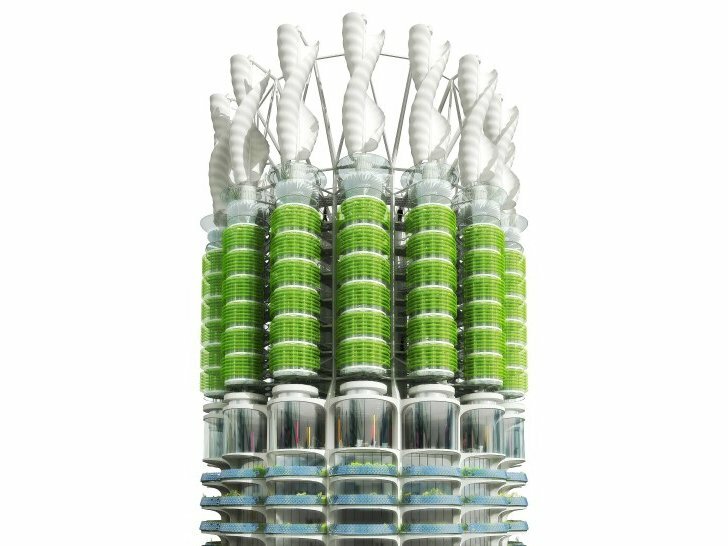 Influx_Studio’s proposal allows for traditional renovations methods, while also taking a step into the future of design by adding a CO2 scrubbing system that would be placed at the top of the towers, as well as an algae bioreactor inside each building, photovoltaics, vertical gardens and rainwater harvesting system. All of these component will allow the towers to completely sustain themselves! 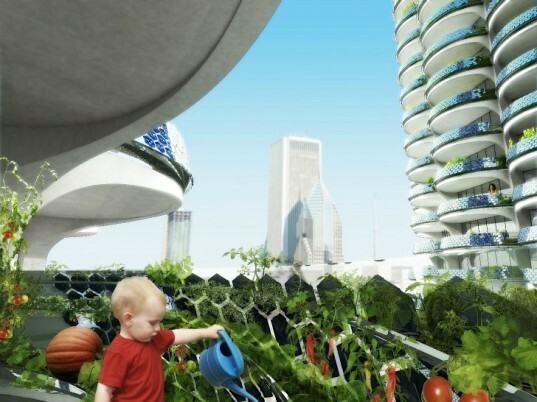 Which building in Boston do you think would be the best candidate for a green make-over?